Time Waits For No One | It's In The Sauce! This has been a different week for me. So different, I forgot to write my weekly Blog Post! It was only when Katy, who posts them for me, sent me an early morning text yesterday on my regular posting day, stating, “No Blog Post today?” I immediately knew why I had forgotten. It was due to Virginia, our 3 (soon to be 4) year old granddaughter, who has been with us all week. 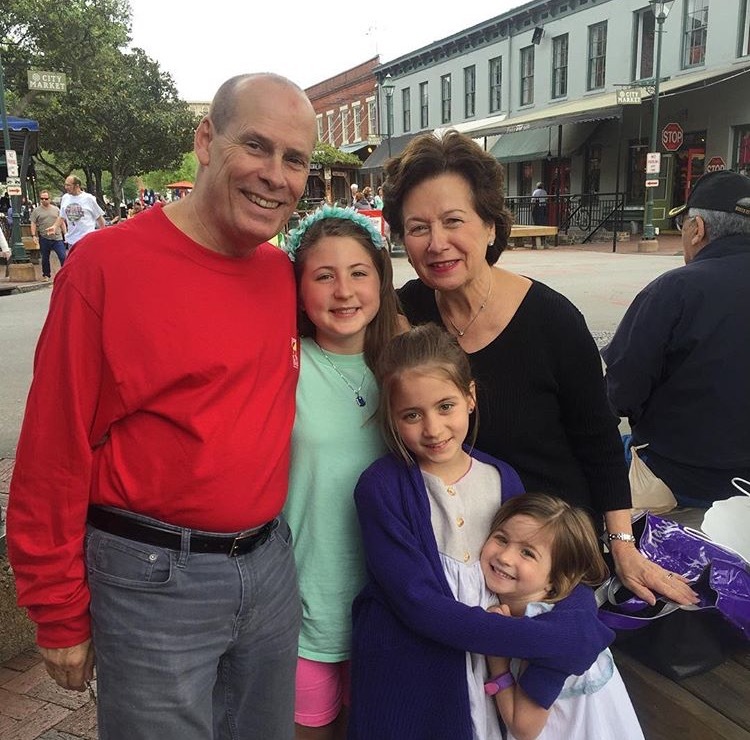 Having Virginia in Raleigh this week for what turned out to be a busy week for me reminded me of what many parents deal with every day, juggling jobs, children, community and church commitments, and many other priorities. I am in awe of parents of young children today, and how they do it all. It wasn’t so difficult when my husband and I were we raising our two girls. He and I both had very busy careers, including in his case lots of out of town and out of country traveling. But I don’t think kids were as busy then. I don’t remember every day after school filled to the brim with activities, having to figure out carpool and child care for all of that. Although I did not have to juggle those things this week, while I was trying to get healthy meals, naps, and play times in around my other priorities,I thought of the children’s regular schedules at home many times and wondered how our daughter and son-in-law get it all done. Nor have I often enough remembered how precious these young years are. The facial expressions of wonder, surprise, and unbridled delight are a source of constant enjoyment. I had also forgotten the lack of filters in young children, resulting in Virginia saying, “Nana, your bottom is big!” I had to laugh, and agree with her! I had forgotten how the hugs and kisses come out of the blue, and yes, the temper tantrums that come from nowhere also. It has all been a lesson in the here and now, recognizing that time waits for no one, that these years pass all too quickly. So quickly that her older sisters are now 9 and 11.. Which brings me to “seeing these granddaughters no less than once a month” in what is now 11 years. When Mary Grace was born in 2005, I made the decision that I would see her no less than once a month, and I am grateful to have been able to keep that commitment. At the time I did not even think about how long I would continue the once a month visits. Elsie came along in 2007, and Virginia in 2012, and I committed to myself to continue the monthly visits as long as I can, or as long as it is meaningful to them. For I know it will always be meaningful to me. It has allowed me to really watch them grow and develop through all of the stages. But I know that they will at some age outgrow wanting to see their Nana as much. Or, if Virginia keeps telling me how big my bottom is, I may stop the visits sooner! No, a better plan is to lose the weight which I recently found! I think I have a new incentive to do so. I, whose tag line is, “Inspiring Positive Change in Work, Life, and Family” am now inspired by a soon to be 4 year old! Loved reading this, my precious friend!